Quick summary: In this lesson students will learn about the environmental benefits of recycling mobile phones and printer cartridges. Students will learn about how old mobiles and printer cartridges can be rescued from going to waste by recycling them in the correct collection bin. Students will research key questions about recycling and the impact electronic waste has on the environment. Syllabus outcomes: GE2-3, ST2-11LW, ST3-6PW. Relevant parts of Year 4 Science achievement standards: Students apply the observable properties of materials to explain how objects and materials can be used. Relevant parts of Year 5 Science achievement standards: Students classify substances according to their observable properties and behaviours. Relevant parts of Year 6 Science achievement standards: Students compare and classify different types of observable changes to materials. Relevant parts of Year 4 Geography achievement standards: Students develop geographical questions to investigate and locate, collect and sort information and data from different sources to answer these questions. Relevant parts of Year 5 & 6 Design and Technology achievement standards: Students describe competing considerations in the design of products, services and environments, taking into account sustainability. 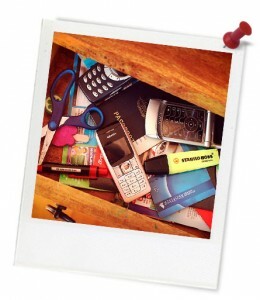 Keywords: Waste, litter, e-waste, mobile phones, printer cartridges, consumption, MobileMuster. Students learn that by recycling their mobiles and printer cartridges, they not only make their waste pile smaller, but also reduce the consumption of natural resources. Teacher content information: Planet Ark founded National Recycling Week to bring a national focus to the environmental benefits of recycling. This highly regarded annual campaign continues to educate and stimulate behaviour change by promoting kerbside, industrial and community recycling initiative. It also gives people the tools to minimise waste and manage material resources responsibly at home, work and school.